Below is today’s column in Foreign Policy magazine on Attorney General Eric Holder’s speech at Northwestern University Law School. UPDATE: FBI Director declines to answer whether the new doctrine allows the killing of citizens in the United States. On Monday, March 5, Northwestern University School of Law was the location of an extraordinary scene for a free nation. 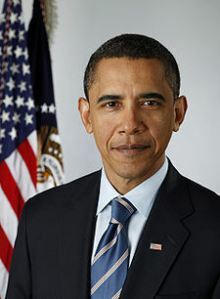 U.S. Attorney General Eric Holder presented President Barack Obama’s claim that he has the authority to kill any U.S. citizen he considers a threat. It served as a retroactive justification for the slaying of American-born cleric Anwar al-Awlaki last September by a drone strike in northeastern Yemen, as well as the targeted killings of at least two other Americans during Obama’s term. What’s even more extraordinary is that this claim, which would be viewed by the Framers of the U.S. Constitution as the very definition of authoritarian power, was met not with outcry but muted applause. Where due process once resided, Holder offered only an assurance that the president would kill citizens with care. While that certainly relieved any concern that Obama would hunt citizens for sport, Holder offered no assurances on how this power would be used in the future beyond the now all-too-familiar “trust us” approach to civil liberties of this administration. In his speech, Holder was clear and unambiguous on only one point: “The president may use force abroad against a senior operational leader of a foreign terrorist organization with which the United States is at war — even if that individual happens to be a U.S. citizen.” The use of the word “abroad” is interesting because senior administration officials have previously suggested that the president may kill an American anywhere and anytime, including within the United States. Holder’s speech does not materially limit that claimed authority, but stressed that “our legal authority is not limited to the battlefields in Afghanistan.” He might as well have stopped at “limited” because the administration has refused to accept any practical limitations on this claimed inherent power. Holder became highly cryptic in his assurance that caution would be used in exercising this power — suggesting some limitation that is both indefinable and unreviewable. He promised that the administration would kill Americans only with “the consent of the nation involved or after a determination that the nation is unable or unwilling to deal effectively with a threat to the United States.” He did not explain how the nation in question would consent or how a determination would be made that it is “unable or unwilling to deal” with the threat. Holder’s new definition of “due process” was perfectly Orwellian. While the Framers wanted an objective basis for due process, Holder was offering little more than “we will give the process that we consider due to a target.” And even the vaguely described “due process” claimed by Holder was not stated as required, but rather granted, by the president. Three citizens have been given their due during the Obama administration and vaporized by presidential order. Frankly, few of us mourn their passing. However, due process appears to have been vaporized in the same moment — something many U.S. citizens may come to miss. What Holder is describing is a model of an imperial presidency that would have made Richard Nixon blush. If the president can kill a citizen, there are a host of other powers that fall short of killing that the president might claim, including indefinite detention of citizens — another recent controversy. Thus, by asserting the right to kill citizens without charge or judicial review, Holder has effectively made all of the Constitution’s individual protections of accused persons matters of presidential discretion. These rights will be faithfully observed up to the point that the president concludes that they interfere with his view of how best to protect the country — or his willingness to wait for “justice” to be done. And if Awlaki’s fate is any indication, there will be no opportunity for much objection. Already, the administration has successfully blocked efforts of citizens to gain review of such national security powers or orders. Not only is the list of citizens targeted with death kept secret, but the administration has insisted that courts do not play a role in the creation of or basis for such a list. Even when Awlaki’s family tried to challenge Obama’s kill order, the federal court declared that the cleric would have to file for himself — a difficult task when you are on a presidential hit list. Moreover, any attorney working with Awlaki would have risked being charged with aiding a terrorist. When the applause died down after Holder’s speech, we were left with a bizarre notion of government. We have this elaborate system of courts and rights governing the prosecution and punishment of citizens. However, that entire system can be circumvented at the whim or will of the president. The president then becomes effectively the lawgiver or lifetaker for all citizens. The rest becomes a mere pretense of the rule of law. Holder was describing the very model of government the Framers denounced in crafting both the Constitution and Bill of Rights. James Madison in particular warned that citizens should not rely on the good graces and good intentions of their leaders. He noted, “If men were angels, no government would be necessary. If angels were to govern men, neither external nor internal controls on government would be necessary.” The administration appears to have taken the quote literally as an invitation for unlimited authority for angels. Of course, even those who hold an angelic view of Obama today may come to find the next president less divine. In the end, those guardian angels will continue to claim to be acting in the best interests of every citizen — with the exception, of course, of those citizens killed by them. WHY…to usher in the NEW WORLD ORDER. or DEAD, there is no place in the NWO for WORTHLESS, USELESS EATERS. All to cull the world population to BELOW 500 MILLION, that’s 6.5 BILLION people DEAD…see GEORGIA GUIDESTONE. The ultimate in conntrol of the NWO have had world control for vast periods in man’s history. NOW…with a network in place, they feel confident THEY WILL NEVER HAVE TO RELINQUISH CONTROL AGAIN. Excellent repros on first page. Bought a book a year or so ago. Really should use Google more and Wiki less, or both. It’s so easy to turn your beak towards Wiki and say peep, and it gets filled. no mental effort at all. And there I am being self-depracatory—- again. Whew. The story behind the town is amazing in itself. A summer resort for the rich. surrounded by common farmers. Amazing Americana. If you want to find a moving story from the Ozarks, look up Disfarmer on Wiki. He photographed the common man there for 30 years. His originals go for fantasy prices for their affective value today. Agree … but of the same school of thought. Blouise, I don’t know, but I think it is meant to demean us. I no longer think the person we are speaking about is a woman. You seem like the type of person that could benefit all of these sinners. Please show the way, I have been lost and I think you are showing me the light. Just another one of those suppress the vote operatives using buzz words like UAW, old time women’s lib stuff, etc. For some reason Karl and Pierre (from another thread) seem to think there’s some kind of insult in the reference to Ozarks. I guess one has to be from around there to get it. Karl, I come to this blog to learn more about law and the constitution from the professor not to be lectured about “sin”. without a presidential candidate, etc. Fine, that’s all we need to know to ignore your offering. And without voting you don’t have a voice. With the new law re. events of national interest, you won”t be accorded demonstrations that will be noticed. Preach on. Useless. I like you, wish it were enough, but it isn’t. The world does not change that way. You must not have been paying attention, idealist, as I already linked to a site and pointed to a movement that’s documented in real time in an earlier post above. The 99% are building events in every state for this spring & summer and it will change American politics forever. Indeed, It already has but yet it’s only barely begun, proof that you don’t necessarily need a “point by point platform” to change the headlines from certain austerity measures to unease with growing income inequality virtually overnight. You see above in part my agreement that voting is a meaningless exercise. But still I encourage the vote for Obama, as it will lead to more disappointment and closer to a decisive action by citizens. Where that will lead is up to them and many factors. I have no faith in your undefined non-existent movement. You still have not identified the alternative Presidential candidater you support. If there is a movement, where is its candidate? If there is a movement, where is its program—-point by point? You seem like a voice in the wilderness with no listeners. Like one of those fabled figures clad in a biblical costume, carrying a sign pronouncing the return of or the coming of or some such—-but nobody listens. Are there folks who follow you. Point to their site,, if you will. Well, are we not at the point that we don’t want to consider? That our votes won’t effect our future in a meaningful effective manner. Does any potential Obama voter feel that 4 more Obama years will be marked by a restoration of any civil liberties lost previously? Any fewer intrusions in our privacy, persons, homes, etc.? Will his being President lead to less surveillance, less chilling of speech, more freedom for demonstrators from attack by SWAT squads? His expressed interpretation of the restrictions on NDAA seems to give hope. But it simply comes down to he won’t use the armed forces to do this work, but has in no way said he will not use those used previously by other agencies. CIA torrure, renderings, denial of habeas corpus, no attorney representation, no presentment of accusations, no faceoff against accusers, etc. The sealed indictments are enough to reasonably label this a totalitarian state. Ridiculous that that can be called due process, abd with court involvement..
See you in four years. Oh, yeah. Do I have a solution? Let’s all leave the country. All of us. Let’s see how they stop that? Too radical? Too hard to do? Well save it for four years or less and then do it. It is safer than a revolution. And more effective than voting for two fractions of the same hypocrixy. But do vote. I’ve already given money to Obama (ex-pats can), and want to see if my money wins. But hopes, no. Have none. Too old and distrustful and too often outraged by Obama. idealist: What I see as a UAW man is how the trade union bureacracy in the US, through both hubris & incompetence, has slowly but surely undermined the interests of working people by throwing away money and votes of confidence for the Democrats who have betrayed them over & over. Independence from the parties of bankers, bosses, landlords & war is where working people need to casts their votes.